STEP 1: Please read all the information on this page, then use the “Application Forms” link at the bottom of this page. Additional links to study materials, exam dates, and fingerprint information are also at the bottom of this page. STEP 2: Complete application and mail with required money order or cashier’s check to Optometry Board to be received on or before application deadline. The instructions list the required documents that must be submitted with the application. Important Notice: Incomplete applications will not be accepted and will be returned. STEP 3: Register with the NBEO to take the Jurisprudence Examination on or before application deadline. Important Notice: The application fee is not refundable. Once the application is accepted, the fee cannot be refunded if there is a failure to complete the application process (for example, not registering timely with the NBEO for the Jurisprudence Examination; not submitting required documents). STEP 4: Take the Jurisprudence Examination and submit any required additional documents. Submit fingerprints as instructed on this website — the link is at the bottom of this page. a graduate of an approved optometry school in the United States or Canada who passed Part III of the NBEO on or after June 1994 (other graduates may also be eligible: use the “Application Forms” link at the bottom of this page). Military, Veterans, and Military Spouses: See this page first. Applications: must be received in the Texas Optometry Board office on or before the application deadline. There are six exam periods: applicants must chose an exam period and submit application on or before deadline. Jurisprudence Examination: applicants must also register on or before the application deadline with the NBEO to take the Texas Jurisprudence Exam (an on-line exam administered by the NBEO). See Important Notice above. Example: An applicant looks at the Jurisprudence Exam Schedule and decides to take the July 2012 Jurisprudence Exam. The application deadline for that exam is May 16, 2012. 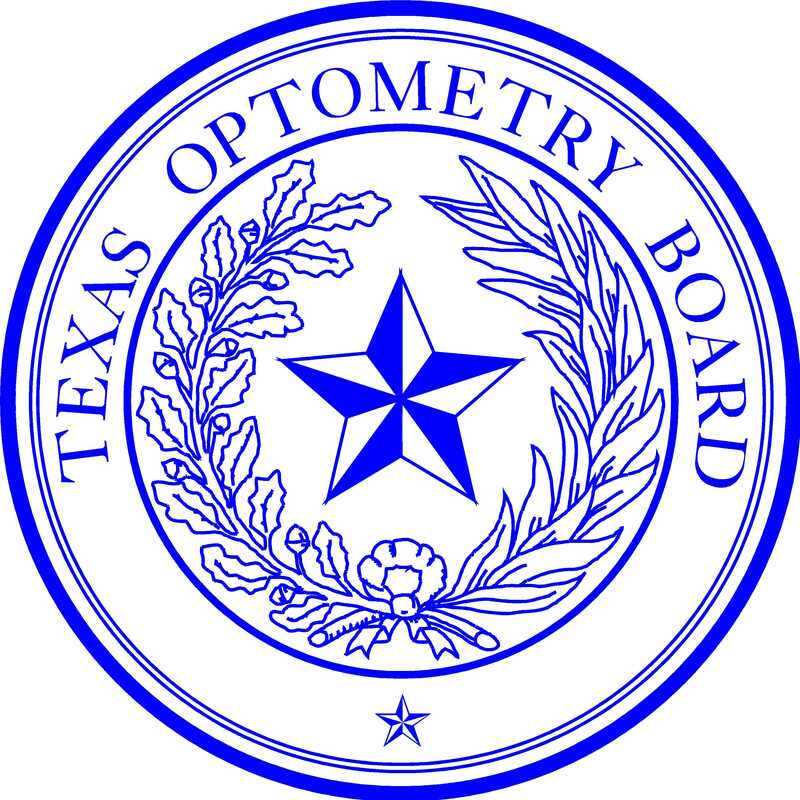 The Texas Optometry Board must receive a completed application on or before May 16, 2012, and the applicant must also register with the NBEO on or before May 16, 2012. All applicants must take and pass the Jurisprudence Exam (see military exception in Rule 273.14). An applicant must register separately with the NBEO to take the Texas Jurisprudence Exam. There is a NBEO registration fee. This registration and fee is separate from any other NBEO exam registration or Texas Optometry Board application fee. The on-line exam administered by the NBEO may be taken at any time during the period beginning with the start date and ending two weeks later. All exams must be completed before the end date. Study materials for the exam are on this website (see “Have Applied, Need Study Materials” link below). Information regarding the form of the exam is on the NBEO Website. The link at the bottom of the page (“Application Forms”) connects to a decision tree to determine the correct form and instructions to download. Successful applicants are sent a letter stating that the license is being prepared with instructions for submitting the required fee. Licenses are mailed in large cardboard envelopes by U.S. Mail, Certified, Return Receipt Requested. If you are not at your address during the day, the Post Office will leave you a notice that it will be holding mail at the Post Office for your signature. You cannot practice until you have received official notification from the Board (document containing the official seal of the Board) authorizing the practice of optometry. Address Changes: Report all address changes immediately (by e-mail, fax or telephone). The Texas Optometry Board cannot extend deadlines. Expiration: Regardless of when you receive your license, all licenses expire on December 31. The Board cannot guarantee a date of license. Telephone calls asking when licenses will be ready tend to delay the process.